Great Musicianship all show long! 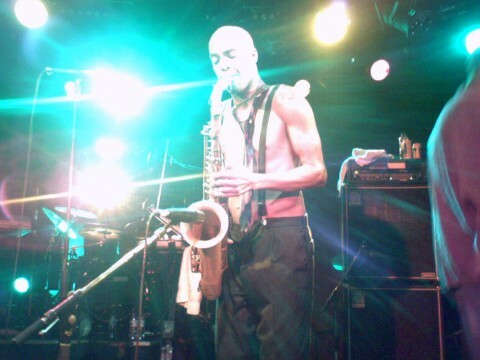 Rythm/Horns section incredibly tight. Norwood gave some really juicy Bass playing. Pure slap. 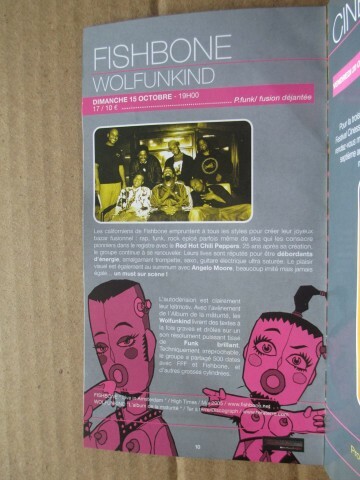 Whaowww Last time i saw them was 13 years ago in Caen-le zenith-with TOOL. then life goes on but i didn't stop listening to them. 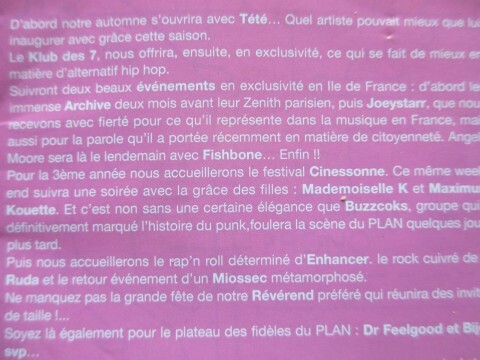 Early days I've been to the Festivaldemarne-Choisy le roi,and Ris-Orangis-le plan and it was AMAZING!!! These guys fu.... rules!!! 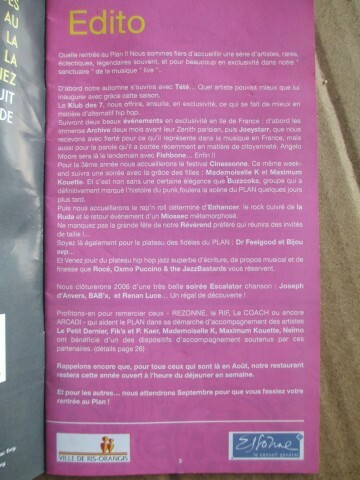 I guess I'll be in Vaureal-le forum-even if it's 200 kms far from home I swear I'll never miss them again!!!!! 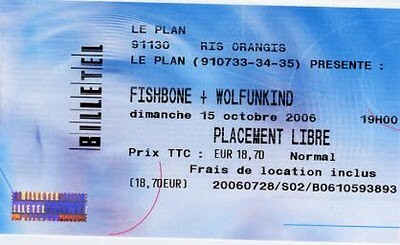 Fishbone played already at Le Plan once. 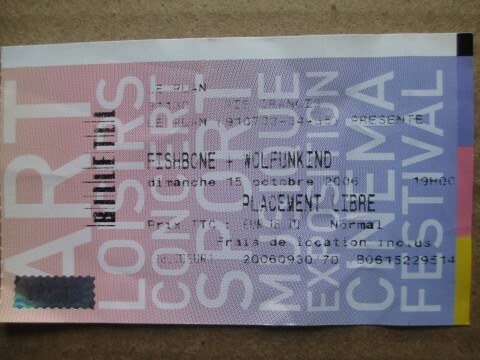 Fishbone is not scheduled to play Le Plan anytime soon.